Film Archives UK takes a look behind the scenes of our film archives and finds out more about the people who work at the film archives and the variety of their roles. In this fast moving, digital age, it is important that our film is both preserved and made available and the archives are also sustained as a business to service research and footage sales. 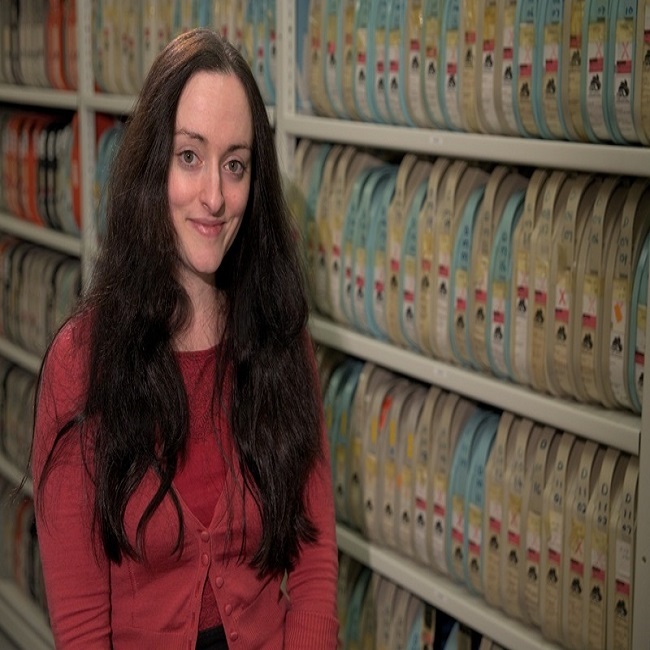 By reporting from the archives around the UK, ARCHIVES AT WORK will focus on this very special industry, the people involved and the valuable work they do to keep our archives alive. What is your role at LSA? I look after LSA’s online presence, which covers a variety of different tasks, and I also present indoor and outdoor community screenings. How long have you been at the archive? I started at the end of July 2016. Before my current position, I completed a 4-month internship at the National Film Archive in Prague in the amateur & home movie department. I inspected and catalogued various amateur collections and helped with the digitisation and restoration of an 8mm Czech avant-garde film. I also got involved in promoting the local Home Movie Day by editing a short promotional film and writing a post-event blog post. The best part was being able to sit in on various departmental meetings and getting an insight into the inner workings of a national heritage institution. It was a great experience. Experience/qualifications? and how did you get the job? I did a BA in Film and Media at Queen Margaret University in Edinburgh, and then studied for an MA in Preservation and Presentation of the Moving Image at the University of Amsterdam. During my studies and time at LSA, I’ve also had the opportunity to visit or undertake short placements at various archives, including the EYE Film Institute Netherlands, the FIAF office in Brussels, the Scottish Moving Image Archive, History of Advertising Trust and IWM. Everyone I’ve contacted has been incredibly helpful. As for my current job, I had signed up to the LSA newsletter a while back, and was excited to see a Digital Film Archive Intern vacancy advertised in June 2016. I sent in my application and the rest is history. It started with a broad interest in films and history from a young age, and then later the realisation that film archives represent a perfect overlap of the two. Especially amateur films often go unappreciated, even though they record very important aspects of social history and provide a more immediate connection to the past for a wide range of people. I’m just keen on passing on my passion for film heritage and the value it holds. The online-based part of my role involves updating the website, delivering our monthly newsletter, and posting on behalf of LSA on the Film London twitter channel. I also moderate, publish and respond to online comments, answer footage queries, write short blog posts and articles for the website and select our Film of the Month for Youtube. In preparation for a community venue screening, I’ll edit a compilation programme relevant specifically to the borough or the event, and research the films I’ll be presenting. I also attend outdoor screenings with our mobile cinema KinoVan where I chat to the audience, explain LSA’s role and aims and encourage further film donations to help preserve and diversify London’s screen heritage. Speaking to people that come to the screenings, listening to their stories and the memories that the films brought back, their positive response to the films. Kids come up with the most unexpected (and sometimes unintentionally hilarious) observations! We also receive touching online comments, which occasionally result in an extended email exchange while I try to find out more about the individual’s connection to the film, its maker or location. I also love a good discovery, whether it’s a film donation brought about by pure coincidence, or when all the clues and pieces come together and suddenly there’s an exciting background story to be shared on our website. The LSA team with Lenka, from left to right, David Whorlow, Volunteer and Archives Co-ordinator ; Beatrice Harbour, LSA’s Manager; Jack Reichhold, Information & Media Officer; Storm Patterson, Screen Heritage Screening Officer. Lack of time. In an ideal world, I’d love to be able to carry out in-depth research about our films to help enrich the catalogue, as well as spend more time on creative engagement with our material. As a small team, we’re doing what we can, and I’ve seen incredible progress during my time at LSA which is rewarding and encouraging. How different is the work here in the UK compared to that in the other European cities you have worked in? Even within the European Union, there are big differences in priorities, public appreciation of, and the state’s involvement/funding/interest in film archives. 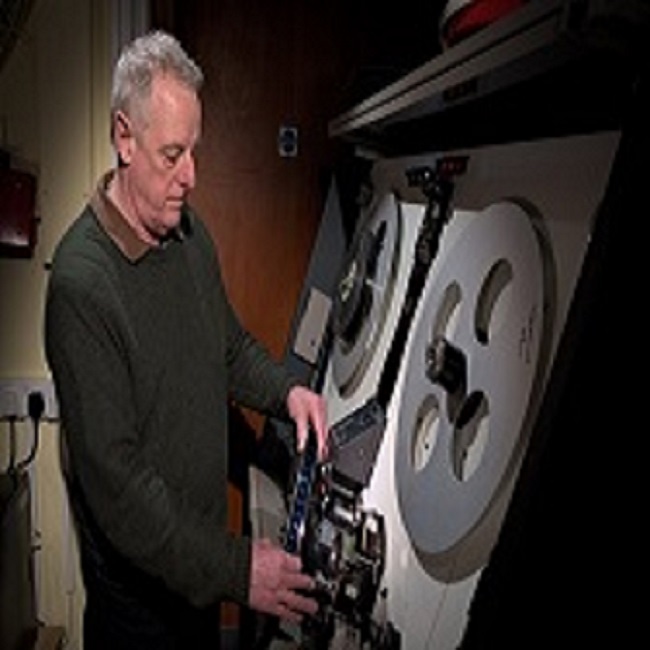 As for the British archive industry, on one hand it has a long history and there are established, respected institutions that have been at the forefront of the field for decades, ensuring audiovisual heritage remains relevant. On the other hand (and bearing in mind my experience is rather recent and limited) the UK industry comes across as slightly more inward-looking and self-orientated. There seems to be more collaboration and sharing between the archives on the continent, a stronger flow of information and knowledge. But again, this isn’t universally the case across Europe – I’d say it’s limited to a small number of select institutions. We recently acquired a large collection donated by the daughter of a talented amateur filmmaker, which (amongst other exciting items) includes a short silent 16mm film of Winston Churchill in colour. It was filmed in 1945 in Wanstead during Churchill’s General Election campaign and includes incredible close-up shots for an amateur film. This discovery really stands out in recent memory. How much has the work of film archives changed and in what way? Being rather new to the world of film archives, my knowledge is purely theoretical. The general impression I have is that archives have steadily been becoming more open and accessible, but are also heavily affected by budget cuts and chasing funding seems to be more difficult than it has perhaps been in the past. How do you see the future of the film archives? It’s vital for film archives to keep improving access, especially in regards to various marginalised groups, as well as reaching out and engaging in cross-institutional projects. I’d like to see film heritage incorporated more directly into education to help ensure its value will be understood and appreciated by future generations. I also think there’s great potential for film archives to engage in research projects, especially in the digital domain. How long have you been a the archive? I began a new contract with WFSA in May 2016, but previously worked with WFSA in 2011 on the Revitalising the Regions project. After graduating, I was lucky enough to work at Goodwood House, Hampshire Wardrobe, Whitchurch Silk Mill and for Wessex Heritage Trust; between stints in project management within the local authority. I first started working at WFSA in 2011, and since then have takenevery opportunity to return to and utilise the archive. 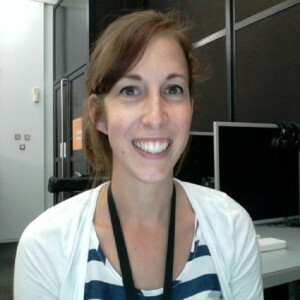 I am passionate about improving access to, and awareness of, collections. For me film, in particular, holds a great appeal because it brings history to life. We have a tendency to think about the past as static black and white – historic film brings our past to life. Every day is different. My key focus at present is raising the profile of the archive via social media, but also reaching out to local communities to engage them with our collections. I have a number of projects in the offing – each focusing on a particular film or collection. The best part of your work? I love showing people our films – especially early colour footage. I also relish the opportunity to tell someone, who hasn’t heard about the archive, about what we hold. Sourcing material that can be shared in a timely manner – on occasion, I’ve found a really great piece of footage to share, only to find we don’t have the correct permissions to go ahead – frustrating! Keeping up with the newest mediums. 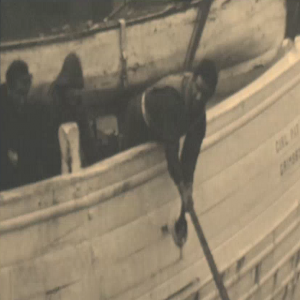 Footage of the stolen trawler ‘The Girl Pat’ being returned to Portsmouth. It’s a tiny snippet of very dark film, at the end of a longer film – which on first glance, looks very little. With just a little bit of research we unearthed the story of the Grimsby trawler Girl Pat, owned by the Marstrand Fishing Company and skippered by George ‘Dod’ Osborne, that set sail for the Dogger Banks for a nominal 12-14 days’ fishing – in April 1936. In an internationally followed adventure the skipper illegally took the ship on a detour which saw him voyage to a series of exotic and far flung places, navigating only with his son’s school atlas. The errant crew were eventually arrested in June 1936 off Georgetown and returned to England to face trial. The Girl Pat herself, abandoned at Demerara and with her owners now reimbursed for her loss, remained as a loose end, and some who had been diverted by the saga formed a syndicate to bring her home. 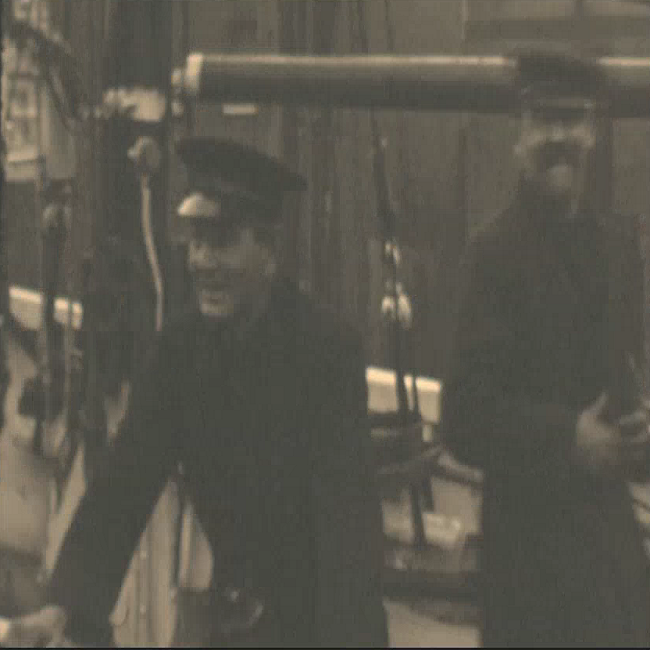 The Captain for the journey home was Commander R W Lawrence, ex-navigator of submarine E14. Such was the interest in the saga, that 500 applicants applied for positions in the crew. The Girl Pat made her way home after reconditioning and being fitted with wireless. 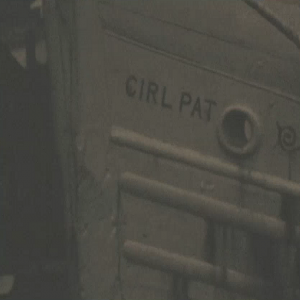 On the 9th of May 1937, thirteen months after leaving Grimsby, the Girl Pat arrived in Portsmouth for paying off, having crossed the Atlantic in 11 days, 19 hours. The footage we hold shows the Captain, and crew coming into harbour at Portsmouth. How much has the work of film archives changed, and in what way? 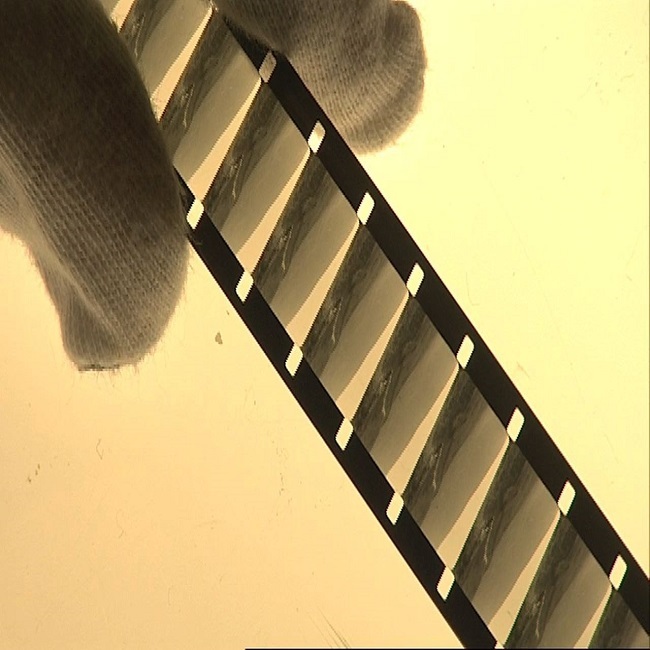 Every new technological advance signals change in the way film archives function, we have to fight to keep ahead of the curve and ensure that our material is accessible for those who wish to view it. I would love to see all archives with completely digitised collections, with excellent search facilities. 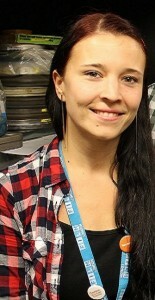 STACEY ANDERSON, Executive Director and Archivist, South West Film & Television Archive/SWFTA, Plymouth. What is your role? My primary responsibility at SWFTA is to oversee the strategic development of the archive which includes: management of staff and collections, media relations and promotion, curation and outreach, funding and budgets, partnerships and projects, social media and the website. Career history? 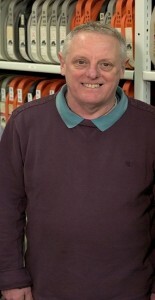 I was appointed Executive Archive Director in December 2012. 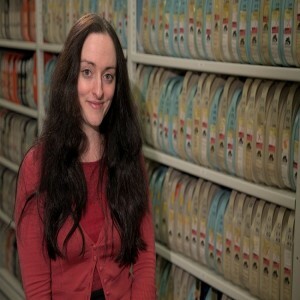 As a qualified Archivist – the first in SWFTA’s history – I have over 13 years experience of working in and managing a variety of traditional and specialist media and digital archive services in the region: Firstly as a Volunteer, Project Cataloguing Officer and Archive Assistant with Plymouth & West Devon Record Office (2003-2005); a Records Management Analyst with Cornwall County Council (2006); an Archive Assistant at Cornwall Record Office with a part time secondment as a Documentation Officer at the Courtney Library (Royal Cornwall Museum) from 2006-2007; and as the Founding Archivist and Manager of the celebrated South West Image Bank (2007-2012). Experience/qualifications? A BA(Hons) in History (2002), a Post Graduate Degree in Archive Administration (2008) and is currently undertaking registration with the accredited body for Archive professionals; the Archives and Records Association (formally the Society of Archivists) as well as membership with the Chartered Institute of Library and Information Professionals (CILIP). The trustees were looking for someone to manage the collections at SWFTA and to develop opportunities for projects and partnerships. Given my background with SWiB and working within the regional heritage sector, they interviewed and subsequently appointed me to pick up the challenge! What attracted you to the industry? A life-long love for history. Following university, I knew I wanted to work within the heritage sector, working alongside raw historic collections and alongside that inspiring knowledge that shines through those who have developed careers in heritage. I started as a volunteer, like most of my contemporaries, and my passion simply grew from that really. Kept a look out for any job opportunity, temporary or otherwise. After a few years of that, I secured a unique opportunity to set up and develop a specialist archive from scratch. The rest is as they say history! Attending and contributing to key strategic partner meetings (pretty much on a daily basis) particularly with the Plymouth History Centre partners as there are many work streams SWFTA is a member of each with their own lead and meeting schedule. We’re also a member of the Project Programme Board which I attend monthly. Updating Twitter, Facebook and the website to sustain audience interest and facilitate engagement. Feeding into the social media campaigns of project partners with digitised content. Depositor relations, following up on depositor or client requests. Assigning research tasks to the volunteers. Assigning footage requests to the technical team. Following up on regional project engagements, telephone or email catch up with project collaborators/partners. And then, when there is a quiet moment, I sit down and undertake essential admin such as responding to emails, enquiries management, processing invoices or purchase orders, financial monitoring of budgets and cash flow etc. Environmental monitoring of the film and tape vaults. This is a typical day for me, some hands on operational input but mainly strategic (development of the archive). The thing with SWFTA – as I’m sure is the case with all the FA’s – is that other staff here will have very different typical days depending on their role and responsibilities. Best part of your work? Viewing footage from the collections – always a pleasure though I don’t often have as much time to do this as I’d like. Working with people particularly the volunteers; discovering their attachments, associations and stories. Challenges? Funding and time. Funding is always a concern. SWFTA is a charity dependant on funds from GiA and earned income streams. It’s hard not to be anxious about the sustainability of that. There’s not enough time sometimes to do everything. I have several ‘to do’ lists which help me manage time effectively. This can be a little stressful at times however. Favourite footage? The Endicott collection. 1930s-1950s beautiful insight into the region captured by amateur film-maker (Butcher) Claude Endicott. Simply fabulous and so raw, no scripts, no gloss, no stage, just the people, places and lifestyles of the region as it was then. How much has the work of film archives changed and in what way? We’ve become more outward looking I think in recent years and that has changed the way we operate to a degree in terms of the variety of enquiries we receive for footage etc. Aside from having to be more outward – as is the case with most heritage organisations these days – it is an entirely positive change. I relish the opportunities, collaborations and partnerships that have come through that sense of stepping out from the archive. It’s all really exciting and has given the archive a strong profile that we didn’t necessarily have before. How do you see the future of the film archives? Ongoing partnerships and collaborations are essential I think to all of us. The collections must be accessible, they must be properly recorded, usable and of course preserved. We can achieve that most effectively if we all work together towards that shared goal, with resource behind us to drive us forward. What is your role? My primary responsibility at SWFTA is to oversee the equipment maintenance coupled with research, editing and clip production for broadcast and DVD production for public, community and project requests. How long have you been at the archive? The Archive was set up in January 1993 and I joined as staff in October 1993. Career history ? I started work in 1982 for Television South West as a Film Traffic Librarian and set up the Video News library in 1986. TSW lost the franchise at the end of 1992, I then volunteered and did holiday relief work in the Archive. In October 1992 I was taken on as a part time researcher/technician and Project Manager. In 2012 I was appointed as Technician. Experience/qualifications? 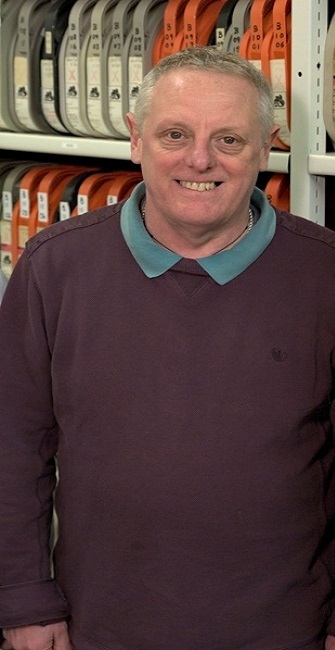 Qualifications none, I bring to the Archive 45 years’ experience working in Cinema management, Television libraries and Archive work. What attracted you to the industry? 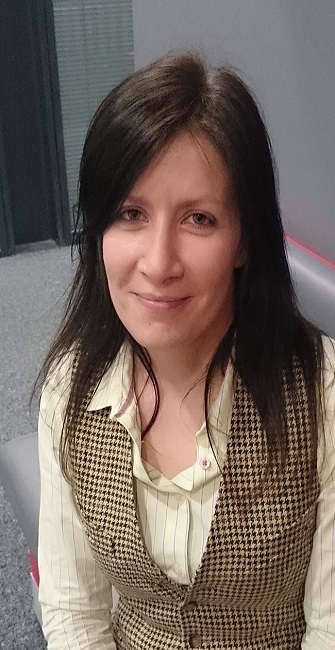 I worked as a cinema manager for ten years and when made redundant I applied to TSW. Any maintenance to equipment I can carry out in house or sourcing outside engineers . Overseeing research tasks given to the volunteers. A typical day for me, apart from the above depends on reacting to the problems thrown up by the day to day running of the Archive. Best part of your work? Viewing footage from the collections –It’s always a pleasure and the buzz you get finding that gem you were not expecting. 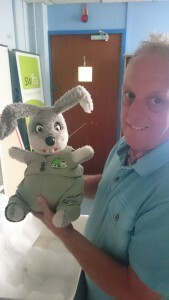 Mike with special SWFTA resident, Westward/SWTV icon, Gus Honeybun. Challenges? Equipment and time. The equipment needed to run the Archive forms its own ‘museum’, the main challenge is maintaining this equipment and sourcing spare parts. Favourite footage? The Major Gill collection. 1920s-1930s. Shot in Cornwall, he captured the life and times of the people and Cornwall as it was, as he realised that it was all starting to change. Best discovery? Best discovery was the “Nazi in Russia” film showing workers and forced labour, and the officers relaxing in southern Russia. Jeffery collection. What is your role? I look after all the financial and general administration of the organisation. I deal with a wide variety of footage enquiries ranging from members of the public to commercial footage requests. I am also involved in clearing copyright as and when required for projects and supplying footage. Career history ? Over the past 20 years, I have worked in a wide variety of roles in customer service and administration in both commercial and not for profit sectors. Prior to joining MACE, I was involved in running a small business for 9 years, primarily looking after the financial administration, marketing and HR. How did you get your job? I applied for the position at MACE as I had the relevant skills and experience needed. My previous roles in administration and running a small business were particularly relevant as well as being an excellent team player! What attracted you to the industry? Having never worked in a film archive before, I was interested in learning more about the industry and fascinated to discover more about 70,000 strong collection of films held at MACE. 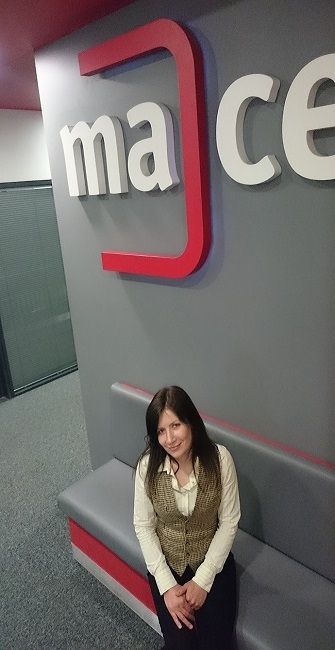 Describe the work involved in a typical day: I always start my day with a cup of tea and my task list! I like to be organised in planning and prioritising my workload. Most days I deal with a number of emails from new or ongoing enquiries, I will also raise sales invoices and keep up to date with book-keeping and payments. Best part of your work? I find it very rewarding when we are able to meet the needs of our customers looking for a particular piece of footage. Members of the public are extremely grateful when we can supply them with footage which has some personal significance to them, such as family members featuring in the film. Boring as it may seem to some people, I also get a lot of satisfaction from the financial administration and ‘balancing the books’. Challenges? Clearing copyright on titles we hold can sometimes present a number of issues. Trying to establish ‘who’ owns the copyright of a title we hold is sometimes the first hurdle and then we start a process of trying to track the right person down and make contact with them. Favourite footage? My preference is home movies as I feel they capture so much about the person behind the camera and what was important to them, quite often children and animals! I love to see how people dressed in times gone by and the kind of activities families would engage in when they didn’t have TV or computers to occupy their time! Best discovery? Without a doubt my best discovery was tracing a lady who appeared in a wedding film, taken 50 years ago. MACE had been working on a Heritage lottery funded project to preserve a number of films made by Warners, the Wolverhampton based production company. Amongst the collection was a professionally made wedding film, fortunately containing inter-titles with the bride and grooms names. I was able to trace the bride, who shared a fascinating story and had in fact, never seen her own wedding film. Providing her with a digital copy was such a pleasure, especially knowing how precious and personal it was to her to be able to see it and share these moving memories with her children and grandchildren. 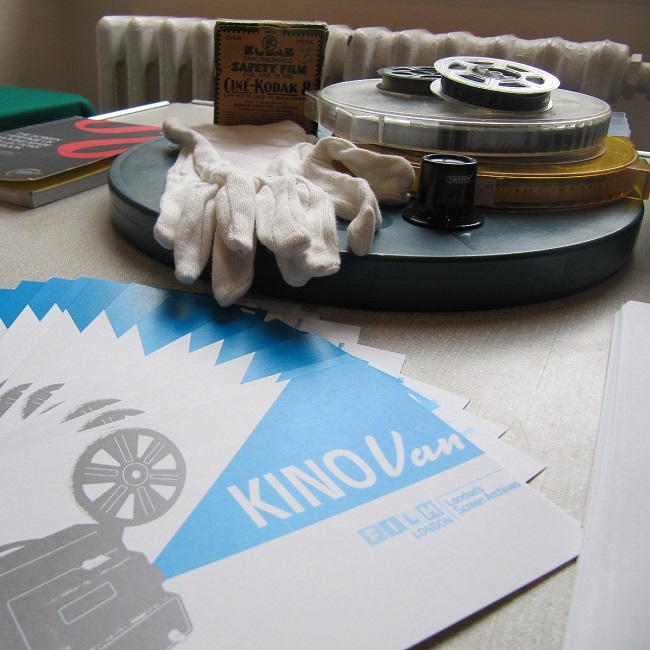 How do you see the future of the film archives? I believe in order to secure the long term future of regional film archives, we must seek ways in which to be more self-sustaining and less reliant on funding.